Please view the video below as a quick tutorial on the sequence navigation of FreeStyle. Licensing….. How many licenses do I really need? A question came across the Blog that asked about Licensing and Multiplexing? The answer to the question is two. One License for the version of the application(ie. TraceFinder EFS, TraceFinder Clinical, ect..) and One for the Additional Module such as Multiplexing support for the Aria OS. IF you go to the upper left section of the application in the menu bar and select Help, at the bottom of the dropdown will be an item called License Activation. Here you can open the licensing window and request or enter license data. If your trial period is over then only a license screen will appear when you open the application from the file menu or from the desktop icon. This is true for both the Application and the Additional Feature of Multiplexing. Below is a quick video of how to use the Method Forge feature while acquiring a data file. Method Forge can be used with either an existing data file or be used to produce a data file using an instrument method. 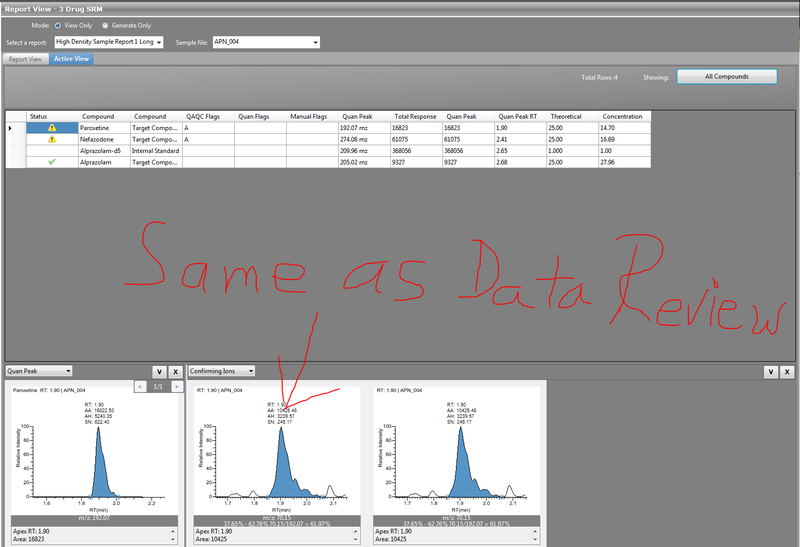 It then extracts the data out of the file and created compounds and components from detected peaks, defined in the assigned Method Template. The Method template will be discussed in a post next week. In Tracefinder you have the ability to review your data in the form of you final report in Report View. By selecting the report you want to see and the data you want see it from, as long as its a Standard Report shipped with TraceFinder, you can see a preview of the report without actually creating the pdf or paper. This is a virtual report help in memory while you review it. It allows the user to see the end result but still be able to make some changes. 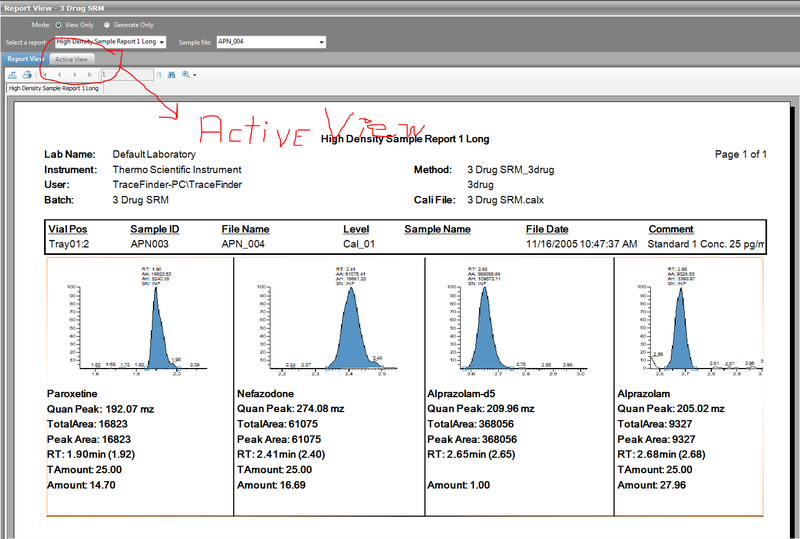 A feature of many of the Standard reports that are sample centric is the Active View tab. This tab allows the user to stay in the reporting area and make data review type changes. It will display the results found in the text of the report, but give you the ability to perform chromatographic editing just like in Data Review. Once all the changes are made then simply press an Update Report button that will appear above the virtual reports and the data on the report will be updated and the results in the Data Review Screen will be too. This keeps you from clicking around from Report View and Data Review.